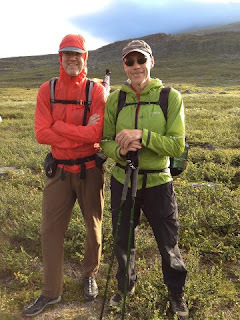 Fellow hiker at Fjällräven Classic, Jonas Hållén, and I have started a Facebook group called Coast to Coast Sweden. 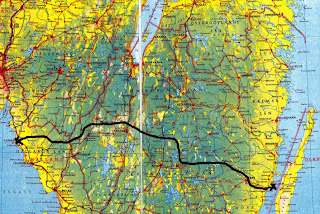 In May 2013 we plan to walk from Kalmar to Varberg. You are hereby invited to tag along for the whole or parts of the distance. The way we see it this can be many different things for many different people: A way of testing a really long walk, a way of testing really light gear in a 'safe' environment, simply exercising, meditating or just rambling like a rover through a beautiful spring countryside, free as the wind. Starting May 5 2013 we will walk some 330 kilometers across southern Sweden, from Kalmar Castle in the east to Varberg Fortress in the west. This is the page if you want to come along or just think it is a good, crazy, or whatever, idea. We are inspired by walks like the TGO Challenge across Scotland, and Fjällräven Classic in the Lapland mountains of Sweden. Coast to coast, or Castle to Castle, will mean a long walk through a forested area. It’s an ‘unplugged’ event. No fee or arrangements along the way. We will start from the castle in Kalmar 0800 hours on Sunday May 5, and we’d love to have company if you are crazy enough. If you want to ride a bike and/or sleep in hotels, hostels or B&B along the way. The starting point in Kalmar will be easily accessible for all you hikers in southern Sweden, Denmark, northern Germany and Poland and so will the goal in Varberg, with excellent communications. Right now we’re trying to collect more information in order to furnish ourselves and any that might be interested with a suitable route. We will try to use existing trails as much as possible and connect these with routes along paths and small roads. We will try to move through wild and beautiful areas as much as possible and stay off asphalt. I am sure that we will need help with this and would appreciate help from people with a local knowledge. Please join our group and support us by participating and/or by spreading the word among friends who might be interested. We can be found on Facebook at Coast to Coast Sweden . 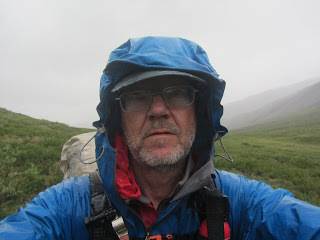 I hope you'll post some info about the area (nature, terrain, ...) of the route. Absolutely. We will try to get as much information as possible from people, organisations and communes along the intended trail as the planning progresses. I will try to keep you company for a few day's at least. I live in Anderstorp along the suggested path and will do what I can to assist with trail ideas. Excellent, you're extremely welcome on both counts. I have a feeling that a lot of people will be coming and going in accordance with the rest of their lives. Please join the Facebook group. If I can not join in, I will follow with interest your hike. Perfect idea! I thought I was the only one with such great (to some people disturbing) plans! I want to join, if I can manage to find an excuse for being away for the time it takes! So how do you plan to do the overnights? Do you know if there are shelters along the track? 1. 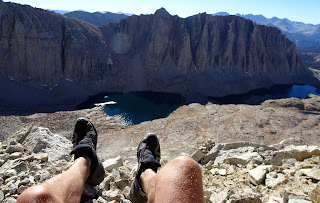 If you do not have the 10-14 days we imagine most of us will take you can section hike. Quite a few people have already expressed an interest in this. Like the first, middle or last third or whatever suits you. 2. We plan to sleep out in tents or tarps. There are shelters at different points where we will follow designated hiking trails, but my guess is that they will not show up at night when we need them. I will probably use something like the tarp pictured in recent entry in our FB group. Anyway, doing part of the trip is an option of course, but in all honesty I think it is much more rewarding to do the entire trip. But such a thing is personal, and I am very much an ´all-or-nothing´ minded person! And I am glad to hear about the tent-tarp construction, because that would save a lot of my budget for different things! I´ve already added the page to the top list of my favorites, so if no meteors crash on me, I will probably join you (at least on parts of the track) next spring! Making your own gear is certainly a way of saving money. On my first really lightweight long hike (500 km in the Swedish mountains in 2004) I used both a homemade pack (made from an old stuff sack and an old tent), a homemade shelter (made from silnylon)and a homemade quilt. Cuben fiber is pretty expensive, so a solution is to make it from silnylon instead. It might be 20% heavier, which is no big deal comparatively. You can buy high quality fabrics on the web today, let me know if you want some addresses. I'm so sorry I missed this! I'll try to join you for next adventure.